After a rain, it’s not uncommon for me to see small white-capped mushrooms popping up in the turf. Many people start worrying – does it mean the grass is unhealthy? Does it mean they’re doing something wrong? Well, in reality, they’re not really bad or good. Mushrooms feed on decaying plant matter aiding in decomposition and returning nutrients to the soil. 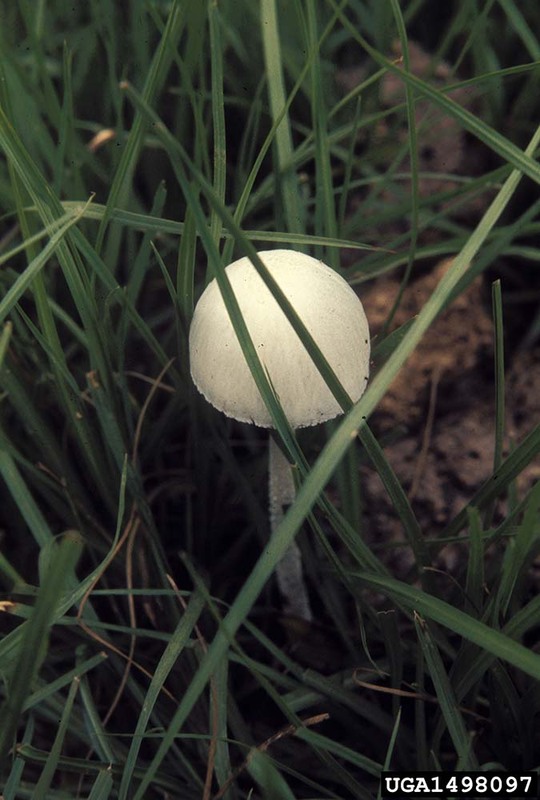 The mushrooms in the grass are often feeding on thatch – a layer of dead or dying grass tissue resting just above the soil. The mushrooms you see in your lawn are feeding on this thatch. Because of the recent rain, the mushrooms have received signals that environmental conditions are well suited to spread spores for new mushrooms. Usually, the cooler, moister conditions are well suited to sporulation – the spread of new fungi from spores. The caps that appear are designed to spread a multitude of spores across the area, similar to how a tree will drop seeds for new trees. These spores will spread, germinate (just like seeds!) and begin growing hyphae – structures similar to roots in plants. These hyphae will begin feeding on the dead organic matter, breaking it down. When the cooler, wetter weather comes again, the caps will grow, spread spores, and repeat. 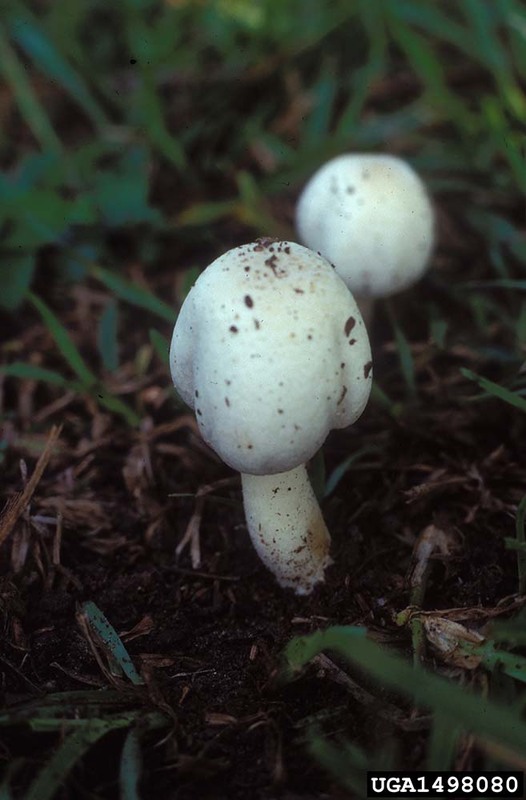 Fungi are interesting organisms because they have both sexual and asexual forms. The caps are sexual – here is where genetic recombination happens to lead to new, genetically unique colonies. The hyphae are asexual and can reproduce and duplicate, though the subsequent fungi will be genetically identical to the parent. If the mushrooms really are unsightly to you, you can just break the stem and dispose of the caps. However, they usually fade in a few days, so you often can leave them with no concern. They are not edible though, so please do not pick them to eat. 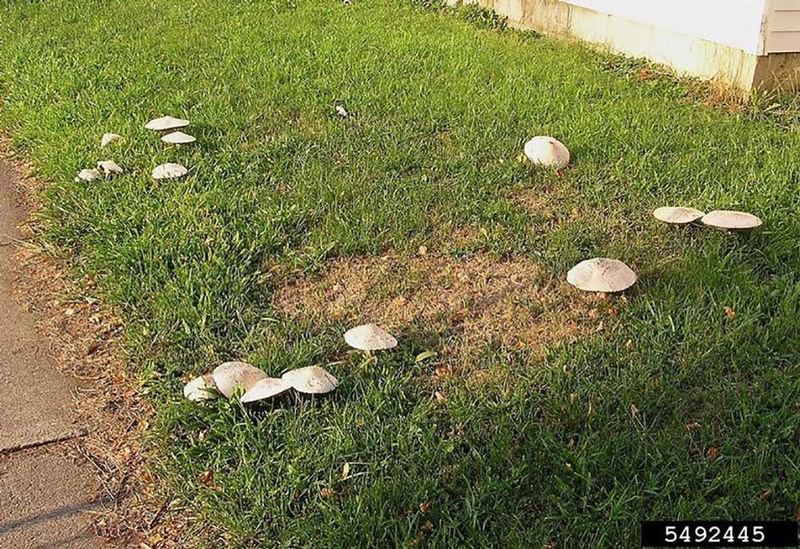 Having mushrooms in your turf isn’t a sign of a poorly managed lawn or a failing as a homeowner. It’s merely evidence of a complicated cycle that results in the returning of nutrients to the soil.